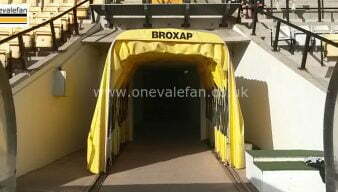 “Aspo” is a Port Vale FC playing legend after being signed from Leeds United by manager John Rudge in 1989. The long-serving defender played over 300 games and was named as player of the year on two separate occasions. He was also captain on numerous occasions. He was part of the side’s Autoglass Trophy final winning side in addition to several cup giantkillings under Rudge. After beginning his managerial career in non-league with spells at Harrogate, Halifax and Gateshead, he returned to the club as first-team manager in 2017. Port Vale manager Neil Aspin has said that agreeing a new contract with key striker Tom Pope is “number one” on his list. 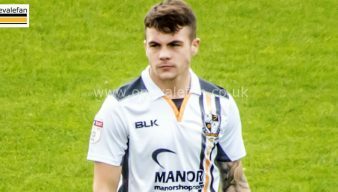 Valiants’ manager Neil Aspin is reportedly finalising talks with Mark Sykes, the Glenavon midfielder, with a view to sealing a transfer deal that will see the 21-year-old joining Port Vale when the transfer window opens in January. Port Vale manager Neil Aspin said a draw was “probably a fair result” but Cheltenham boss Michael Duff said his side “footballed” Vale off the park. Port Vale manager Neil Aspin will welcome two key defensive players back into the squad to face Cheltenham Town on Saturday. Port Vale manager Neil Aspin said his side were “terrible for eighty minutes” as two late goals snatched a 2-2 draw at Morecambe. Port Vale manager Neil Aspin says his side must get off to a good start in their Checkatrade Trophy clash on Tuesday evening. Port Vale manager Neil Aspin has praised midfielder Antony Kay for his contribution during the away victory over Yeovil Town. 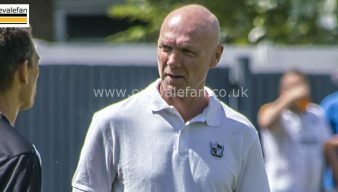 Port Vale manager Neil Aspin was delighted with the 3-0 win over Yeovil on Tuesday evening and said the team could have scored more. 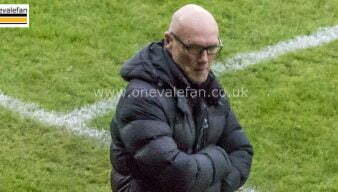 Port Vale manager Neil Aspin said the first-half display was “absolutely terrible” as they slipped to a 1-0 home defeat to Swindon Town. Port Vale manager Neil Aspin says he won’t be chopping and changing his side but his players will need to be more consistent. 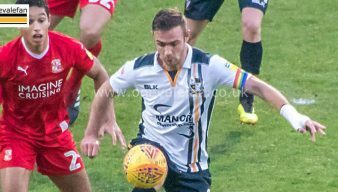 Port Vale manager Neil Aspin is keeping his fingers crossed that clubs do not make a move for loan star Mitch Clark in the January transfer window. Port Vale manager Neil Aspin has praised his side’s battling qualities but said on chances created, Mansfield deserved to win. 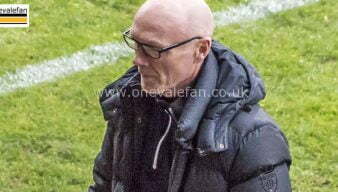 Port Vale manager Neil Aspin has welcomed competition in his squad ahead of the Mansfield game. Port Vale manager Neil Aspin says he has “mixed emotions” over the side’s loss to Sunderland in the first round of the FA Cup. Port Vale manager Neil Aspin says that the decision not to award Vale a penalty against Sunderland has been a “recurring theme” this season.